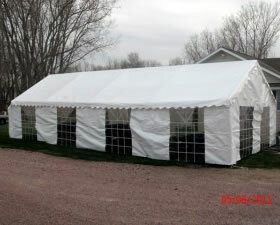 Genesis Enterprises LLC, a family owned company located in Allen Nebraska, specializes in the manufacturing of frame tents, custom tarps, fabric booths, greenhouses and other custom fabric structures. We can customize you order to meet your needs. Call us with your design or send a diagram or drawing and we can provide you a quote or different options. Our capabilities include sewing, fabric welding and metal fabrication including cutting, bending, welding and finishing of metal tubing. These gable-roofed structures come in standard pitch or high pitch design. Durable frames are constructed of 1 3/8” galvanized tubing with 16 gauge welded steel connector fittings and are easily assembled. 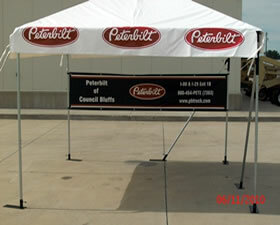 Canopies are available in sizes ranging from 10′ x 10′ to 20′ x 40′. Our high quality and reasonable price make a long lasting value. 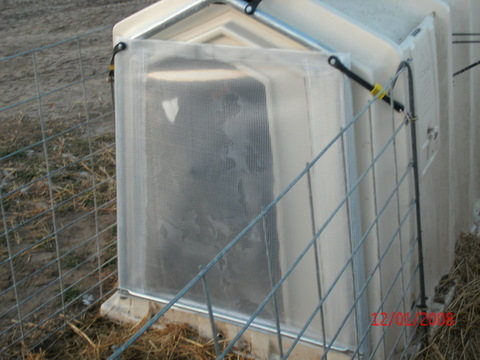 The door cover is made of a durable galvanized tubing frame. Clear reinforced vinyl is attached to the frame to provide a solid cover panel. A bracket on the bottom slips onto the door opening and straps on the top provide a secure attachment system that allows for installation and removal in seconds without tools. Sunlight penetrates which results in significant warmer temperatures. Genesis Enterprises LLC specializes in the manufacturing of frame tents, custom tarps, fabric booths, greenhouses and other custom fabric structures. We are a family owned company located in Allen Nebraska. Genesis evolved from the former S & S Manufacturing of South Sioux City Nebraska. 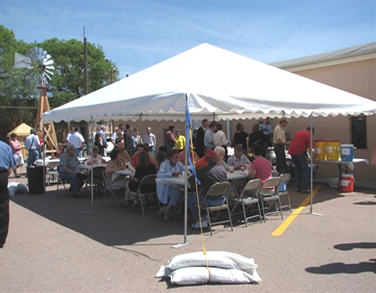 Our product line includes frame tents and industrial fabric structures for a variety of uses including parties and events as well as commercial uses. We are able to customize in order to meet our customer’ needs. Call us with your design or send a diagram or drawing and we can provide you a quote or different options. Our capabilities include sewing, fabric welding and metal fabrication including cutting, bending, welding and finishing of metal tubing. Fabrics that we use include vinyl in various weights, polyethylene for cost effective and strong tarps, mesh in a variety of colors and shadecloth materials along with cotton/poly.